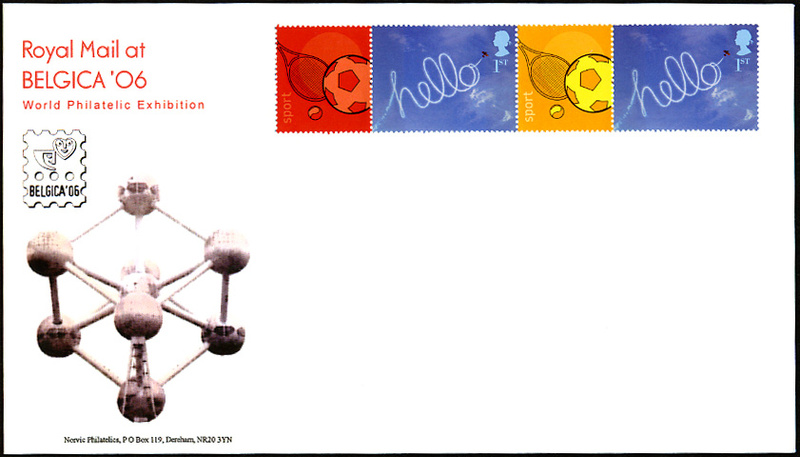 As with Washington 2006, Royal Mail's Belgica 2006 Smilers sheet is being issued 2 days before the show starts, unlike Pacific Explorer where the stamp was issued on the first day of the show. The Belgian show runs from 16-20 November 2006. Belgica '06 will be held at Brussels Expo, situated in the Parc des Expositions, where the world famous landmark, Atomium, is located. It was designed by the engineer André Waterkeyn, and built for the World Exhibition of 1958. 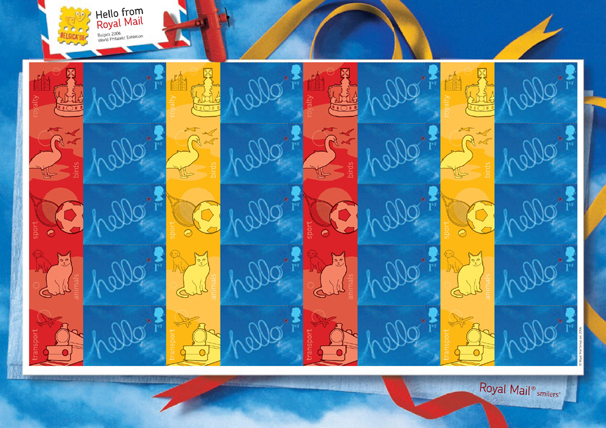 The labels on the sheet show various thematics: royalty (including the Tower of London), birds, sport, animals and transport. Click on the sheet image for a larger version in a new window. This is not regarded by Royal Mail as a new issue, so there will be no official first day covers, and there are no special handstamps. This page updated 11 November 2006.